The iPhone 5 is the slowest smartphone among the best selling brands on the market, consumer watchdog tests claim. Technical tests to measure processing and memory speed ranked the Apple handset bottom of seven of the most popular phones on the market in the UK. It is slower than both the main Samsung models as well as rivals from Google, Sony, HTC and Blackberry for popular tasks such as playing games, editing pictures or using apps. 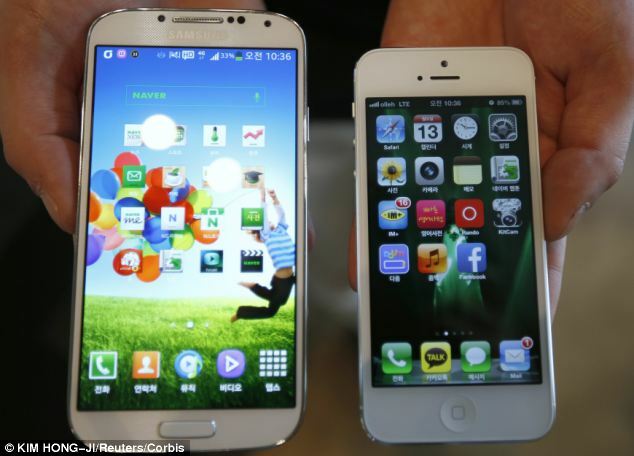 Samsung's Galaxy S4 (left) outperformed Apple's iPhone 5 in Geekbench tests for Which? Apple is expected to unveil its next model later this year as the companies battle it out in the $253 billion smartphone market. And the top ranked phone, the Samsung Galaxy S4 is almost twice as fast, according to consumer champions Which? who carried out industry-recognised laboratory tests. The findings will be a blow to those iPhone 5 fans who have wrongly assumed their trendy mobile, the best-selling in the world, is also the best. Which? used what are known as the Geekbench speed tests. The higher the score, the faster the phone. 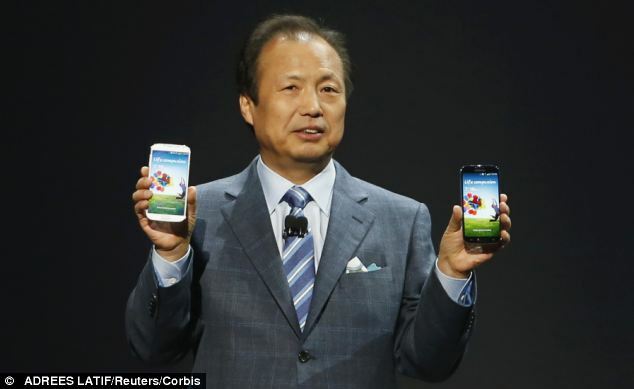 The Samsung S4 scored 3,188 and the iPhone 1,664. The speed of the processor is important but so is the type - for instance, the winning Samsung has a 1.9GHz quad-core processor, the Apple a 1.2GHz dual-core. But Which? said: 'Bigger processors do not always mean better speeds - that’s why we put all the handsets through the same test. The HTC One was in second place and Sony’s Experia ‘sneaked’ into third ahead of the Google Nexus 4 but the Google does have the advantage of being up to £200 cheaper than its rivals. The fastest phones tend to be the most expensive, costing up to £450 is bought sim free, yet all models are eventually replaced by better and faster ones. Which? said: 'Undoubtedly, Apple will upgrade its next iPhone with an improved processor when it launches later this autumn.